Posted on September 14, 2018 by Andy Higgs in Home. Tenerife is one of the beautiful islands that make up the Canary Islands located in the Atlantic Ocean just off the northwest coast of Africa. The seven islands make up one of the most popular destinations for tourists. Each of the islands has its own unique landscape and attractions. For example, El Hierro is home to the giant Gallotia Simonyi and among the villages and towns of La Gomera, you might hear the island’s unique whistling language. The island of Tenerife has three popular areas for tourism. In the south of the island, you may enjoy the stunning contrast of mountainous villages and wide-open beaches. This part of the island boasts exclusive coastal accommodations for discerning vacationers. The northern part of the island combines breath-taking landscapes and tucked-away adventure spots with wonderful places to eat and entertain. Finally, the Metropolitan area of the island provides access to shopping, cultural activities, and many social venues. Packed within just under 800 square miles, there’s plenty to do and see. One of the most popular reasons people visit Tenerife is to relax, surrounded by the beauty of the ocean and the warm island temperatures. Activities that support this goal include sailing, luxurious water tours, and whale and dolphin cruises. You may also enjoy taking day trips to soak up some of the culture and environs of the other islands. Many travellers to Tenerife enjoy hiking through Teide National Park to visit the volcanic crater at the center of the island, or they may enjoy the stunning views through the Teno Mountains to the village of Masca where they can enjoy a hike through a gorge to the beach. There are so many hikes available over the island that you could end up hiking without crossing anyone else’s path; don’t forget to try out the Punta del Hidalgo hike in the Mercedes Forest or the Anaga Mountains. In addition to hiking, you may enjoy sea kayaking around the island with a professional guide or diving among underwater volcanic columns. The best places to dive in Tenerife include Los Gigantes, Los Cristianos, Puerto de la Cruz, and Las Galletas. Make reservations at one of the many family-friendly hotels around the island, such as Iberostar Anthelia. With these luxurious accommodations as your base, you’ll start each day well-rested and well-fed. From there, head out to experience tours through the labyrinthine tunnels beneath the Cueva del Viento, the fourth-largest volcanic tube in the world. Round out your visit to Tenerife with a day each at Siam Park and Loro Parque. At the end of the day, return to your Iberostar hotel for a rejuvenating spa experience or a quiet evening recovering from your day’s activities. 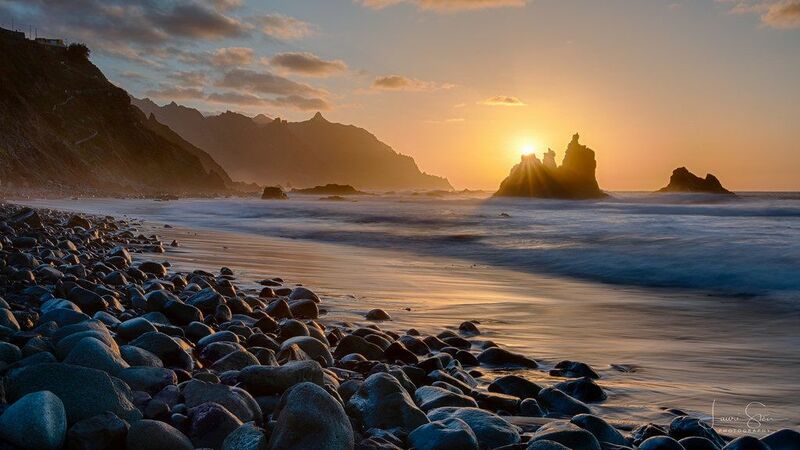 While many of the tourists who visit Tenerife do so to enjoy the beautiful ocean vistas, some travelers arrive to explore the unique and beautiful history of the island. La Laguna was once the capital of Tenerife and today is a Unesco World Heritage site. Mingled among modern venues are mansions and convents surviving from the 16th, 17th, and 18th centuries. The Malizia Show is a live performance found at Piramide de Arone. This show combines traditional cultures in opera and dance performances. This experience will be one of the most unique cultural displays you’ll find in all of your travels. The Pyramids of Guimar is made up of six pyramids built in the 19th century. These pyramids have an allure of mystery as many questions regarding their origin still go unanswered. While hiking around this site, you may find ancient artifacts or reed ships. When you’re ready to book plans for your holiday getaway, make sure Tenerife is at the top of your list of possible destinations. Once you’ve experienced the island for the first time, you will want to return. Magestic place! Do not pass the volcanic crater if you get the chance to visit Tenerife. It was a once in a lifetime experience! Yes, I agree, once in a lifetime experience!